Prof. Becky Peterson, assistant professor in Electrical and Computer Engineering, has received a University of Michigan Henry Russel Award for her extraordinary record of accomplishment in scholarly research, as well as excellent record of contributions as a teacher. This award, established in 1925, is considered the University’s highest honor for faculty at the early to mid-career stages of their career. 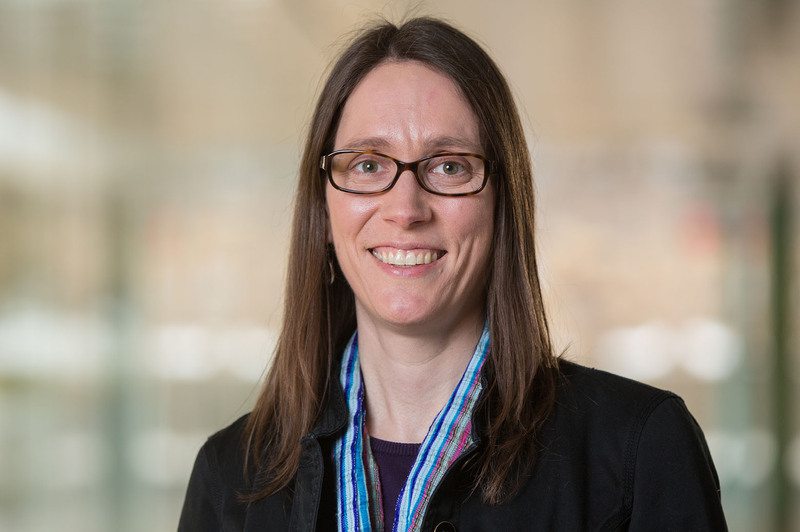 Prof. Peterson directs the PetersonLab, which is developing new thin film technologies and devices to enable “Electronics on Anything.” One goal of her research is roll-to-roll fabricated large-area flexible e-skins, displays or detectors at low cost using environmentally-friendly methods. This work has applications in electronics cybersecurity (securing the ubitquitous electronics needed for the Internet of Things) and low-power environmental monitoring. In addition, she is developing new alloys of oxide semiconductors for the next generation of high-power electronics and deep ultraviolet optoelectronic devices, with specific applications in renewable energy and health care. She is an innovative and well-loved teacher. In the undergraduate courses Introduction to Semiconductor Devices and Analog Circuits, she incorporated video podcasts, in-class demonstrations, and set up a skype session for the class to interact with an engineer at Texas Instruments. In addition, she introduced a new graduate course called Power Semiconductor Devices, and used support from the Center for Research and Learning and Teaching (CRLT) Faculty Development Fund to incorporate industry-leading software into course projects. Students rate her extremely highly in their course evaluations. She also regularly participates in outreach events for K12 learners. Prof. Peterson has been a key contributor to various groups within the University as well as the professional community. For example, as a member of her department’s Search Committee and, previously, the Graduation Admissions Committee, she has helped institute specific procedures to enhance the diversity of the department faculty and graduate student bodies. She serves on the Faculty Council for U-M’s Lurie Nanofabrication Facility, on the organizing committee of the MRS Electronic Materials Conference, the technical program committee of the IEEE Device Research Conference, and as Vice Chair for Technical Activities for the local IEEE chapter of the Electron Devices Society. Prof. Peterson joined the University of Michigan as an assistant research scientist in 2009, transitioning to assistant professor in 2013. Her recent awards include an NSF CAREER award (2017), a DARPA Director’s Fellowship (2016), a DARPA Young Faculty Award (2014), and an Elizabeth C. Crosby Research Award (2013).